Spring ahead! Remember to set your clocks 1 hour ahead this Sunday! Please welcome Emily M as a new Corps Fitness instructor! We are so excited to have Emily on board! She is one of the most motivating CFers you’ll ever meet, and a true representation of what Corps Fitness is all about! Please congratulate Emily when you see her, and try out her very first class this Sunday 3/13, 8:30 AM. Welcome back, Mike V, as a spin / krank instructor! Mike may also be a familiar face for many CFers, as he balances his time between working, coaching, family, and has been kind enough to return to Corps Fitness as a spin / krank instructor beginning March 17th at 5:30 PM. New CF shaker bottles are in! New apparel is still available – stop by the desk / display to check it out! Sunday morning class 3/20 will be held at 9am! 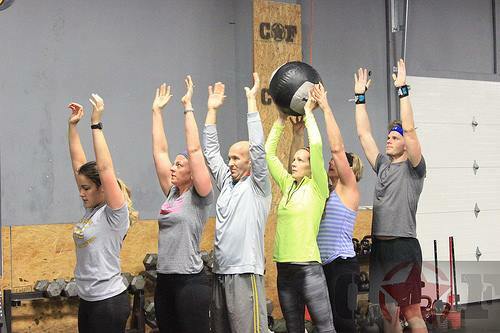 If you want to do the open workouts but don’t want to “officially” sign up with CrossFit, that is awesome as well! The score sheet is posted on the whiteboard – feel free to update with your 16.3 and future scores, regardless of registration in the online Open. In this case, you don’t need an official judge, but can ask one if you want! Never hurts to have a little more critique on your form, etc. Remember, you are responsible for securing your judge, showing up and being ready to go at the prearranged time! Also for submitting your own scores by 8 PM every Monday!